As winter approaches and the colder weather closes in warmer clothing becomes paramount. We supply and brand winter wear including jackets, vests, and hoodies. 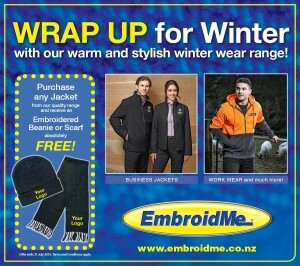 ‘Wrap up for Winter’ with our latest promotion! Every winter jacket order is eligible for a free branded beanie or scarf to keep you warm this season. When it comes to winter fashion many people would tell you that the trick to keeping warm is by wearing layers, but that can cause an issue for your companies branding. Business uniforms provide excellent benefits for your business (read our previous post), but in winter company logos frequently get hidden behind non-branded jackets. Gain brand credibility in winter through branded winter apparel. 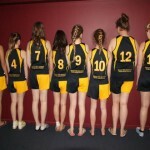 Jackets in your uniform dress-code means the team will take the brand with them wherever they go. Winter wear encompasses various industries and environments including corporate, business, trades, hospitality, retail, events, hi-vis, work wear, and schools. 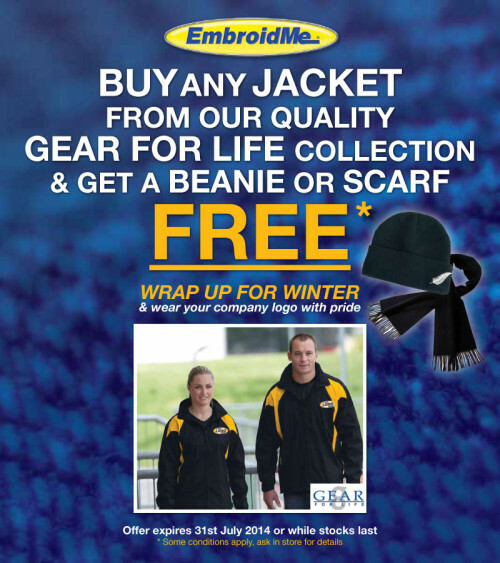 Simply put, whatever the application we can supply and brand winter wear that meets the needs of our customers. With many products, styles, colours, and sizes available to choose from we welcome you to come into our showroom. Our friendly team will work with you to source the best possible branding solutions to Get Noticed. 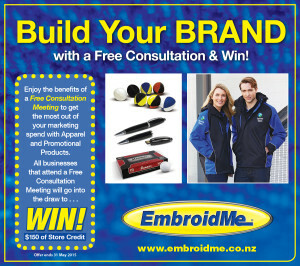 The competition will be no match for your company with the help of EmbroidMe. We are dedicated to helping you brand your company or organization as the best and most professional in your field. By placing your logo, name or insignia on apparel and promotional products at tradeshows and events, everyone will know your name! Your name and logo is the first thing your clients, employees and peers notice. From the moment they enter your store, firm or restaurant, make sure you are remembered with customized apparel and promotional items. People will take notice when your entire team is looking personable and professional in their custom apparel. You can find the perfect t-shirts, uniforms and accessories for your staff, in any color or style as we have a range of available products. Leave your guests and clients with an impression that lasts with promotional products like pens, mugs and bags. Your office and your community will be branded with a name they know and trust. Show off your success at trade shows, fundraisers and in the office. Make sure your name is displayed with one-of-a-kind apparel, banners, and promo items to gain customers and respect from other operators. A great way to show your community you care is hosting or sponsoring a local charity event. You will be known for your success and kindness, while impressing and gaining customers. 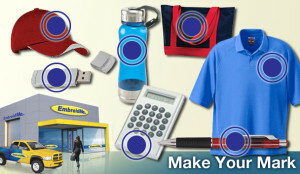 Let your staff know you care with monthly promotional items like hats, umbrellas, water bottles or even office accessories like mouse pads and flash drives. Don’t be just another building on the block, set yourself apart with EmbroidMe. Let us help brand and promote your company to skyrocket past the competition. Contact your local EmbroidMe store to start planning your successful future. 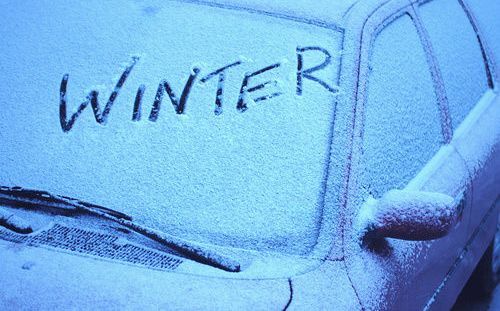 With news headlines reading “No respite from gloomy weather” or “First snow, now black ice hits south” we know that winter is well on its way, or in some places around the country it has very much already arrived! In Turangi (just south of Taupo) the other day they woke up to a chilli -5C, which was the coldest temperature in the country. Even Auckland and Christchurch only had one degree difference! You may get condensation on the windows at home and have the windscreen frozen-over on your car, or if not, we’ve all experienced the rush of bitterly cold air when you go and open a door to outside! Driving to work can also start out cold as you wait [patiently?] for the heating to work. On days like this motivation to leave the house can quickly fade. When it comes to winter fashion many people would tell you that the trick to keeping warm is by wearing layers, but that can cause an issue for your companies branding. Business uniforms provide excellent benefits for your business (read our previous post), but in winter the company logos and brands frequently get hidden behind non-branded jackets. Branded jackets give credibility to staff in the same way a branded shirt does, and including a branded jacket in your uniform dress-code means staff and team members will take the brand with them wherever they go. About.com says that branding is your identity in the marketplace and that it’s important to realise that how you package your brand is an integral part of your business. Just by looking out into the world today, it’s easy to see why brands are more important than at any time in the past 100 years. A good brand confirms credibility, and reassures customers that the plumber, builder, or any type of tradesman or delivery person that turns up to their house is actually from the company they called. But it’s not limited to that. Sports teams and coaches are easily seen, professionals are identifiable in meetings, event staff and road-workers are visible, salesmen gain credibility, and ultimately everyone is kept warm. Don’t only provide your staff or team with a uniform to promote your brand, invest in jackets to ensure that your brand isn’t hidden. When most of us think of t shirts printing we think of traditional screen-printed t shirts. The process of screen-printing is the oldest and most proven of the four common methods of garment imprinting, it is also the most labour intensive. Screen-printing lends itself well to large run orders as well as to simple logo work. The more colours and the smaller the order the less that traditional screen-printing makes sense. Unlike the other three processes discussed here, with screen-printing once the artwork is done on the computer: the work really begins. A typical 4 color screen-print for a t shirts printing job can take 2 hours from the time the artwork is done on the computer until the first garment is printed. Once the job is set up, though, t shirts printing can be produced at a very high rate. Orders of 12-24 shirts are definitely not practical with a screen-printing set up and many screen-printers won’t take an order for less than 50-100 garments. Once everything is setup a traditionally screen-printed garment may only have 10-50 cents worth of ink on it, however, the typical screen-print job costs $10-30 per color to set up. Because screen-print inks can be opaque, screen-printing lends itself to white, light and dark garments (though printing on darks does require a bit more skill than lights and whites). Other issues of concern with screen-printing are workspace and disposal of waste products as well as a moderate learning curve. Overall, if high volume production is your main objective, screen-printing is a good route to explore. Learn more about SWF East’s screen-printing solutions. Due to their rapid turnaround and fantastic high-resolution finish and vibrancy, digital transfers are our most popular choice for promotional campaigns. For smaller businesses with full-colour logos, you can’t go past a digital printing transfer. Where embroidery & screen printing aren’t possible (or cost effective) for your chosen application or order quantity, digital printing transfers are the perfect substitute! With the added option of printing small runs of 1+ units as you require them. With the ability to recreate photographic images in high-resolution (and with no minimum orders) digital transfers remain a popular choice for our steady stream of local artisans and their one-off t-shirt designs. Digital printing can be used for an extensive range of clothing products from tees, polos, hoodies to hats and flags etc suited for all budgets.